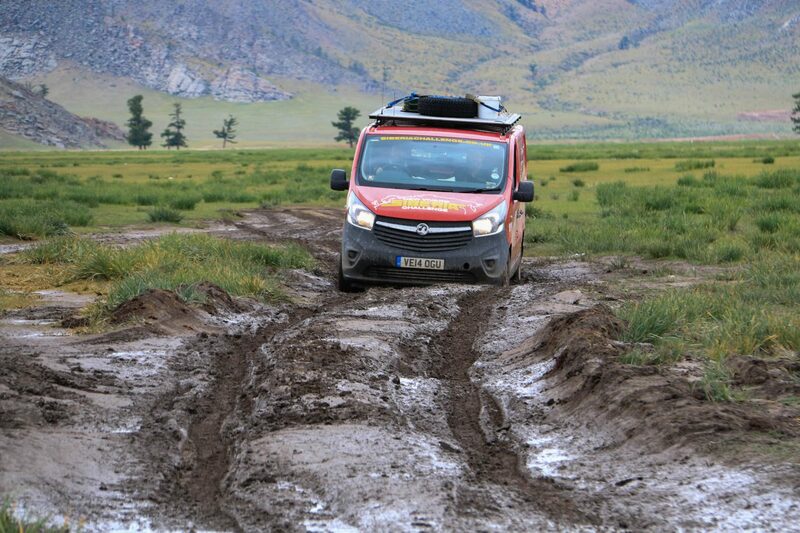 A gruelling 12,000 mile expedition to far-eastern Siberia to demonstrate the tough qualities of the new model Vivaro van. 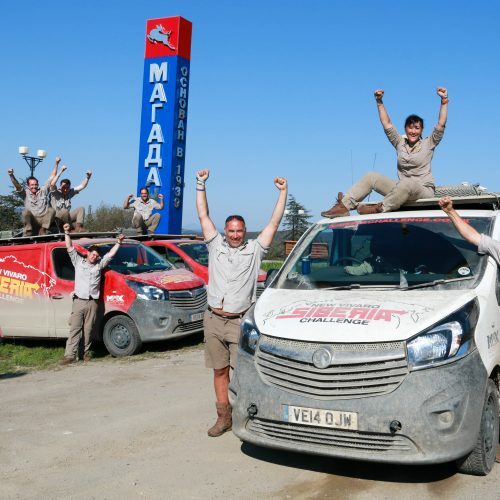 To coincide with the launch of Vauxhall’s latest generation Vivaro van, Max Adventure were tasked with creating an exciting campaign that would clearly demonstrate the tough qualities of the new model. 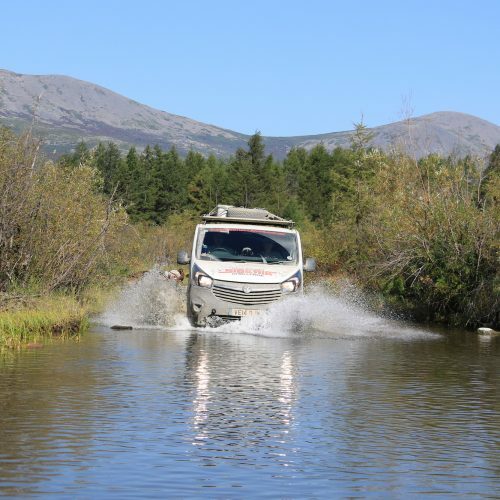 Our idea was to drive 3 of them from Europe’s most westerly road in south-west Ireland, to Asia’s most easterly, the remote city of Magadan in far-eastern Siberia. In between lay some of the toughest roads on the planet that would test man and machine to the limit. The arduous 12,000 mile expedition across Europe, Turkey, the ‘Stans’, Mongolia and Siberia, including the infamous ‘Road of Bones’, was to be completed in just 2 months. 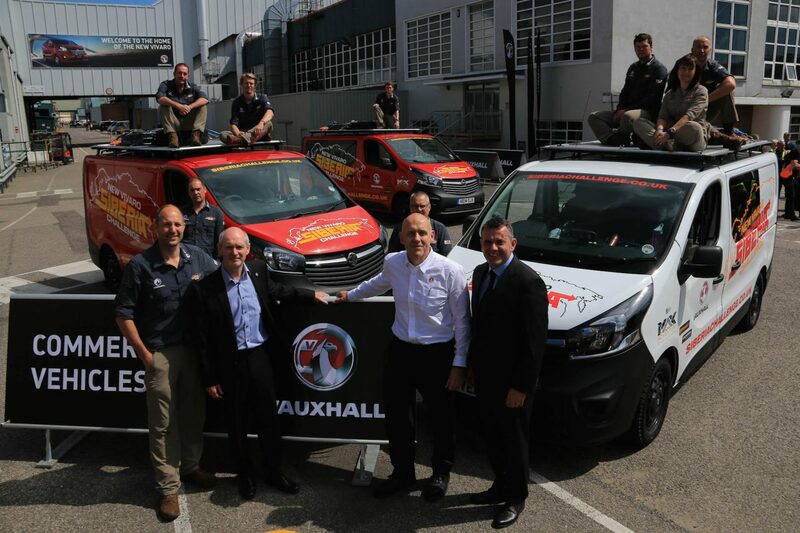 With Vauxhall being strong supporters of Help for Heroes, we decided that 3 injured soldiers from the Iraq and Afghanistan campaigns should join the Max Adventure team for the adventure of a lifetime. What better way to help with their rehabilitation by undertaking such an exciting journey. The days were long, the sun was hot and the dust suffocating, but all the time we sat in our air conditioned vehicles, they were having to cope with the relentless pounding of the road underneath. The suspension was tested to the limit on thousands of miles of unmade roads, we hit massive pot holes more times than we cared to remember, smacked both the engine sump and fuel tank guards regularly, and the engines had to pull fully laden vehicles across scorching deserts and over jagged mountains. Even with all this abuse, not one Vivaro had let us down, not once. 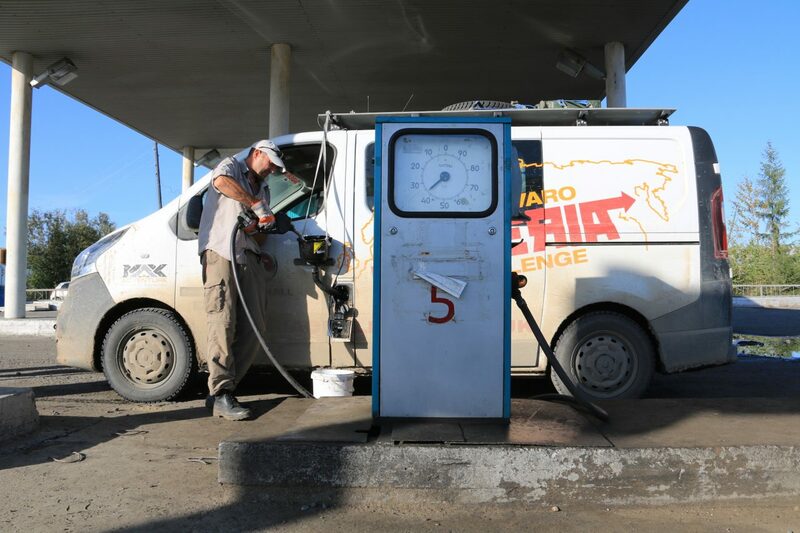 To drive 3 Vivaro vans through 20 countries and along 12,000 miles of some of the toughest roads on the planet and reach the end with no mechanical failures is a true testament to the strength and reliability of the new model. The Max Adventure film crew and photographer did a fantastic job in difficult conditions. The high-quality material that we returned with was used as a series of adverts on television, product brochures and marketing material across all mediums. 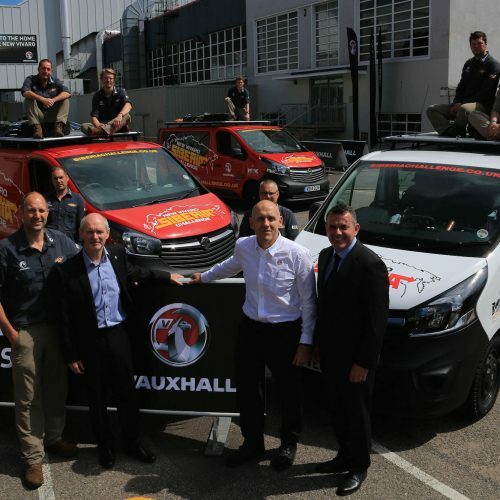 We are incredibly proud of the team for what they have achieved and the vans for the abuse they have endured, but most of all, we are proud of Vauxhall who had such belief in their new model Vivaro van that they were willing to subject it to such an extreme test that was well above its original design criteria. We don’t know of any other vehicle manufacturer who would subject their products to such exhaustive testing whilst under the close scrutiny of both the press and public. Could you find Uzbekistan on a map? No? How about Azerbaijan? Still drawing a blank? OK, let’s try an easy one. Georgia? No, that’s the state in the southern USA you’re pointing at. The Georgia we’re thinking of happens to be next to Russia. All these places and a host of others were visited by a convoy of three brand-new British-built Vauxhall Vivaro vans on a 12,000 mile odyssey that took them from Europe’s most westerly road to Asia’s most easterly city. That means they journeyed from Clogher Head in the Republic of Ireland through two continents and 20 countries until they reached remote Magadan in Siberia on the Pacific coast of Russia at the far end of the infamous and ominous-sounding Road of Bones. 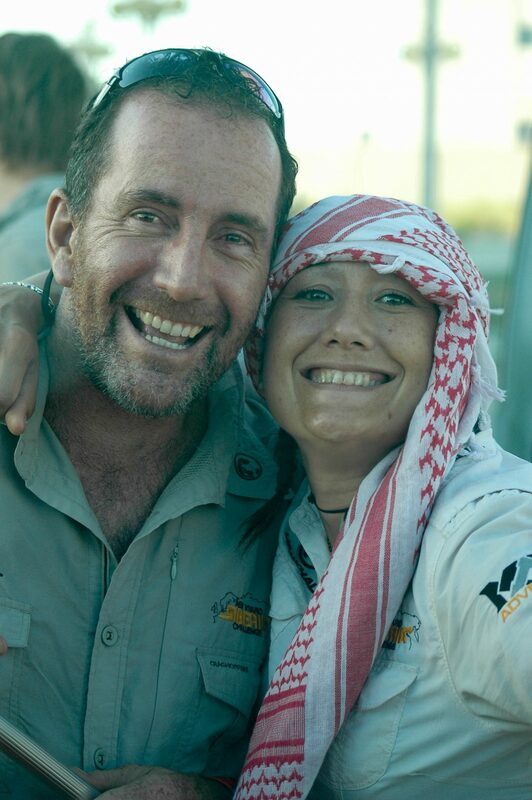 The convoy crossed two continents in two months. As well as the countries already mentioned, it travelled through the UK, France, Belgium, Germany, Austria, Hungary, Romania, Bulgaria, Turkey, Turkmenistan, Kazakhstan and Mongolia. The epic trek was organised by Max Adventure and led by Mac Mackenney. 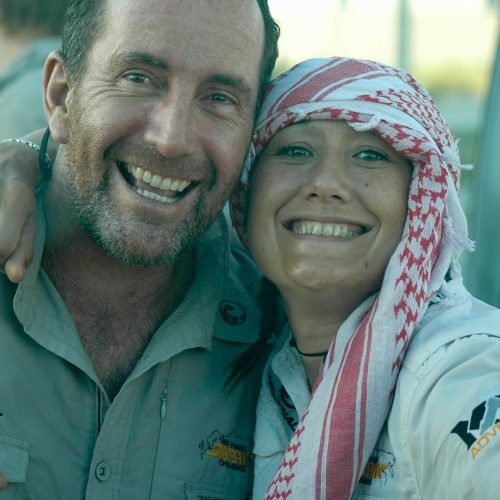 With 20 years of overland expedition experience under his belt, Mac has been a consultant to legendary explorer Sir Ranulph Fiennes since 1996. He has driven across deserts and the Arctic, established four long distance driving records and was part of the first team to swim an amphibious vehicle across the Bering Strait between Russia and Alaska. 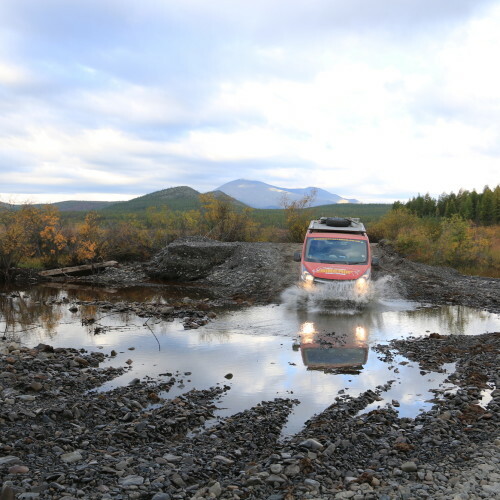 So why on earth drive all the way to Magadan and encounter confidence sapping places such as the Dracula Region, the Mask of Sorrow and the Gateway to Hell while doing it? Why face 2,000 miles of roads in Siberia that, as it turned out, were little better than graded dirt? Partly it was to remind people just how tough the Luton-made Vivaro is. “It was the perfect opportunity to demonstrate that the all-new Vivaro is built to take it all” says Vauxhall Commercial brand manager, Steve Bryant. The other was to raise funds for Help for Heroes, one of the most deserving charities ever established in Britain. That explains why some ex-members of the armed services who have been injured on active service were at the heart of the expedition, Ian Wright and Kes Bradley, both had their own, personal, reasons for going, however. A former Lance Corporal, 47 year old Ian from Kent and served in the army for 9 years. A radio operator and driver for the Royal Signals in the first Gulf War, he finds that staying active helps his post-traumatic stress disorder. “When I’m part of a team and challenging my boundaries, the effects of my symptoms are easier to handle,” he says. Ex Sergeant Kes Bradley, 41 is from Yorkshire. She spent 17 years as a theatre nurse in the the Royal Army Medical Corps, served in Afghanistan and is now a personal trainer. She took part to push herself and help others with post-traumatic stress disorder do the same. They went through a tough selection process before they made it onto the Siberia Challenge team. It included a practical test in vehicle marshalling, to ensure each individual could take control in crisis and guide drivers through any hazards they might face. Their training thereafter encompassed everything from off-road driving to first aid. 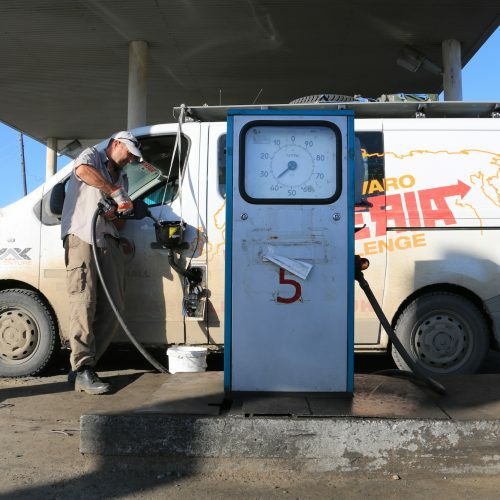 The expedition was accompanies by two mechanics. 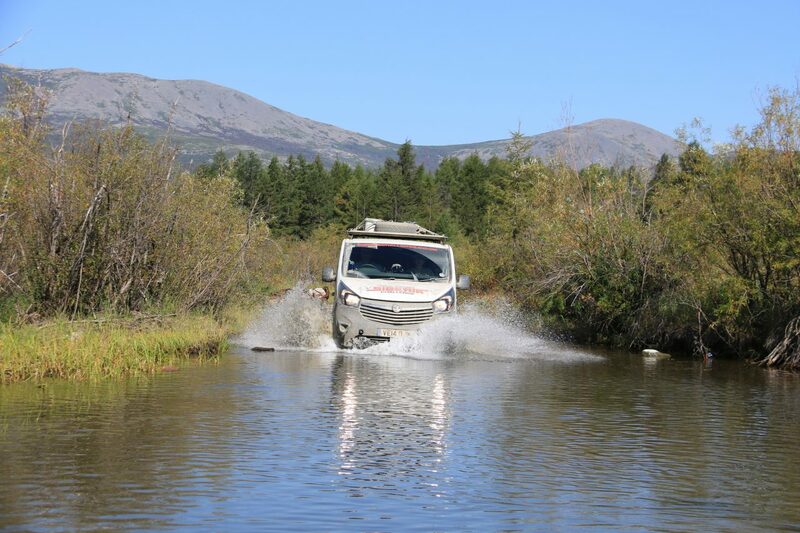 Paul Marsh has worked with Mac Mackenney on several expeditions and has over 20 years experience of vehicles in some of the remotest corners of the planet. Among other things, he has worked as a safari guide in Botswana, where he learnt to execute impromptu repairs in the middle of nowhere – and without the necessary parts. Tony Mole represented the Luton Plant. He has been repairing Vuaxhalls for a quarter of a century and knows the ins and outs of the latest Vivaro better than anyone. 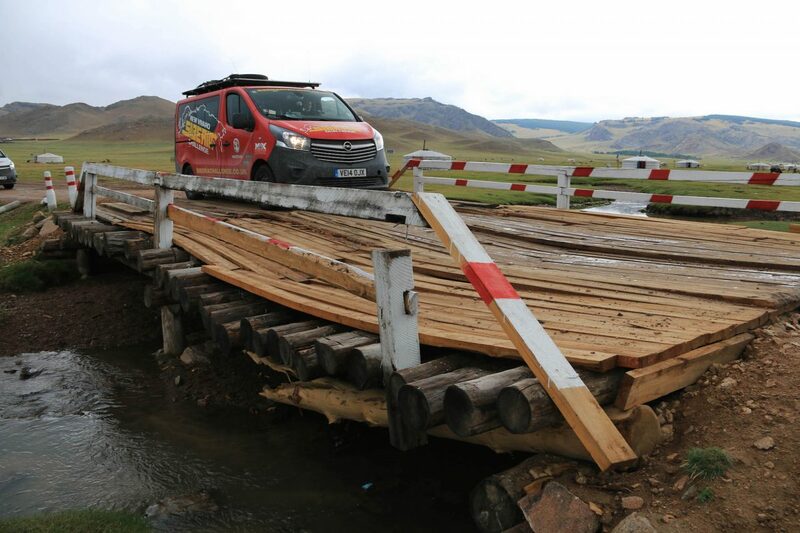 The team faced some extraordinary challenges along the way. 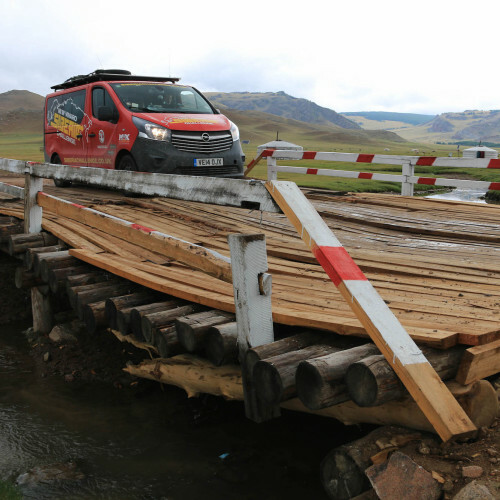 In Mongolia they had to cope with roads that were little more than rocky tracks or grass covered paths that turned into long stretches of thick, unrelenting mud in torrential rain, negotiate an extremely rickety bridge and a shallow river – all while encountering the odd herd of camels and wild horses. The river crossing demanded particular care. 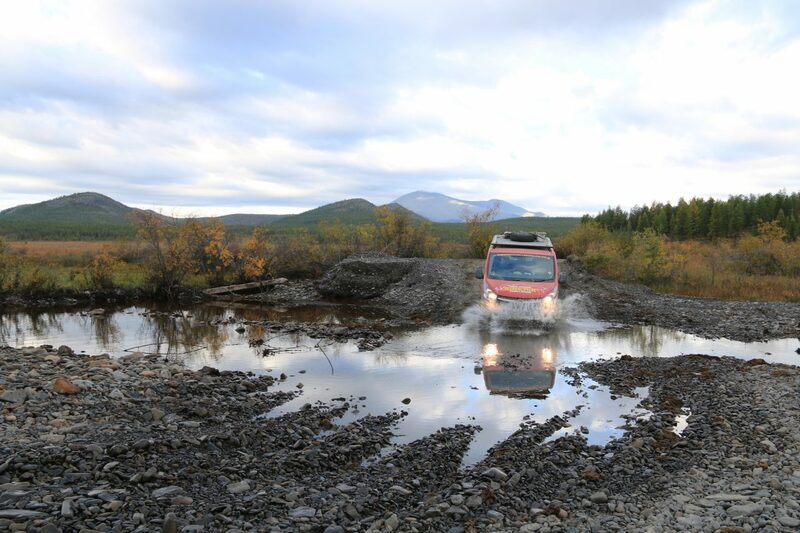 Expedition members waded over first to check for potholes and rocks – the last thing you want is a puncture in the middle of flowing water – and sudden changes in depth. Elsewhere, they encountered ghost towns, abandoned mines, a clearly hungry brown bear, and shrines to the mountain spirits. The sight of eagles circling overhead hand cranes stretching their necks in icy rivers more that outweighed some of the tougher times they had to deal with. So did the high peaks, dense forests and churches with glittering golden domes they saw. Happily, Rich Wain-Hobson, the doctor who accompanied the expedition, is a keen photographer so all of its challenges and the way in which they were overcome were painstakingly recorded. he caught the travel bug while he was still at medical school, spent a term working in Kenya, Tanzania and Malawi and hasn’t looked back. 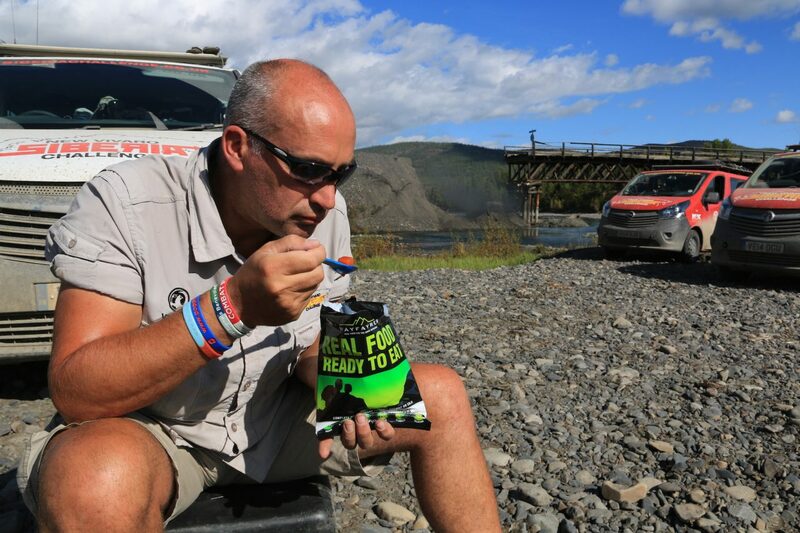 Although it was his first trip with Max Adventure, his most recent expedition prior to that involved driving to South Africa, so he was no stranger to hard roads. 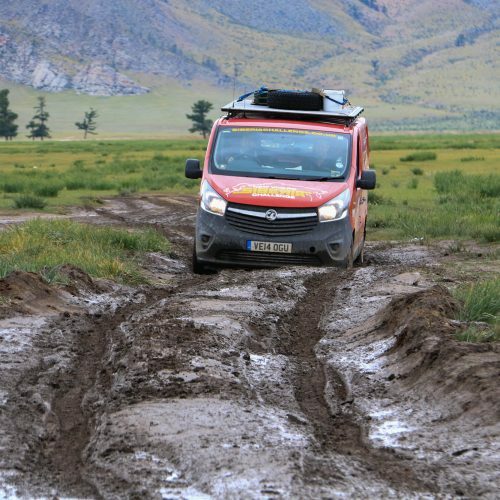 The trip was fully funded by Vauxhall, and other participating equipment sponsors included Max Adventure, Craghoppers and Continental. 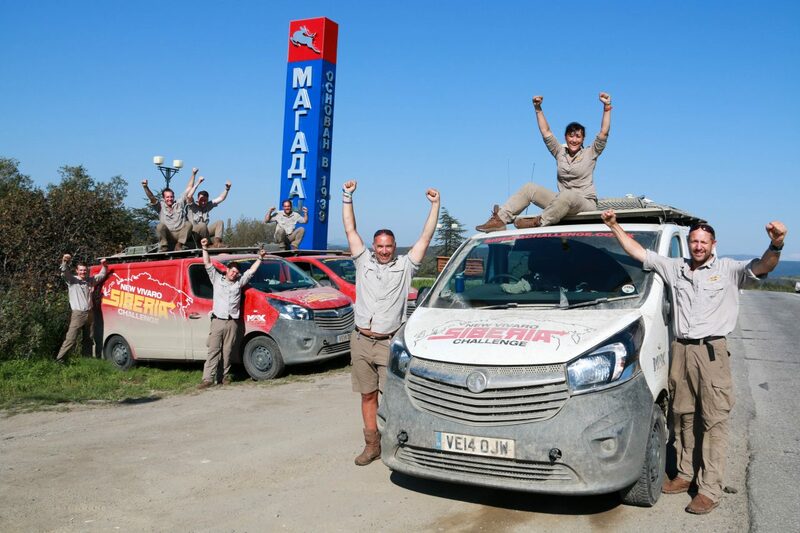 The great news is that the team and their indomitable Vivaros made it to their destination in one piece after 12,000 miles and 426 hours and 50 minutes driving. Thee vans and the individuals concerned proved as tough and as durable as each other. 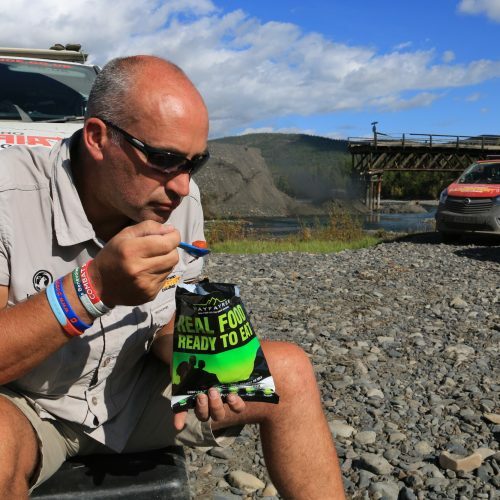 During a particularly arduous river crossing, one of the Vivaros practically disappeared under water but emerged with nothing worse that a water logged air filter. Graph returned an error: Error validating access token: The session has been invalidated because the user changed their password or Facebook has changed the session for security reasons.